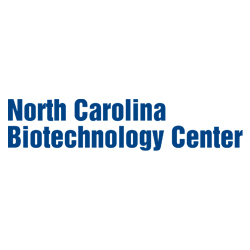 The Association of Clinical Research Professionals (ACRP) welcomes North Carolina Biotechnology Center to the ACRP ‘Partners in Workforce Advancement’ (PWA) initiative. PWA is a groundbreaking new initiative to expand the clinical research workforce by bringing together a broad coalition of clinical research stakeholders focused on creating a sustainable workforce for the future. The clinical research enterprise continues to struggle with high turnover, quality and performance variance, and a growing demand for more skilled, competent professionals. At the root of these issues is a lack of awareness of clinical research as a career option in the healthcare and life sciences communities. “Organizations employing clinical research professionals of all types agree – the first step in creating a diverse and sustainable talent pool is to ensure that healthcare and life sciences students are aware of clinical research as a career option,” Kremidas adds. As its flagship project, the PWA will develop and implement an industry-wide campaign to increase awareness of clinical research as a career option among healthcare professionals and students. If you are interested in supporting the PWA, please contact Beth Harper at beth.harper@acrpnet.org.